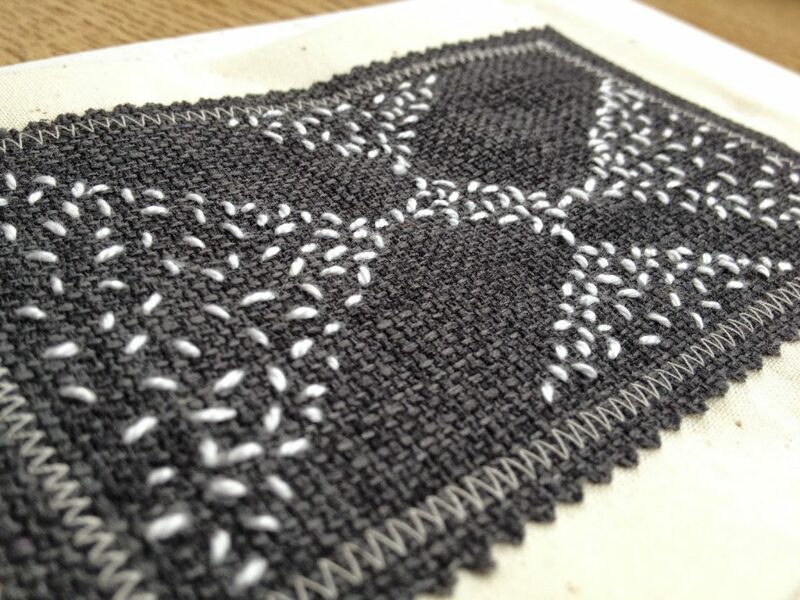 Seed Stitch is a very versatile stitch, perfect for infilling a space, creating shadow, a sense of expansion or movement, density or airiness. This was a an interesting stitch to experiment with, in that it took some time and thought to find a way of creating variety in the samples. 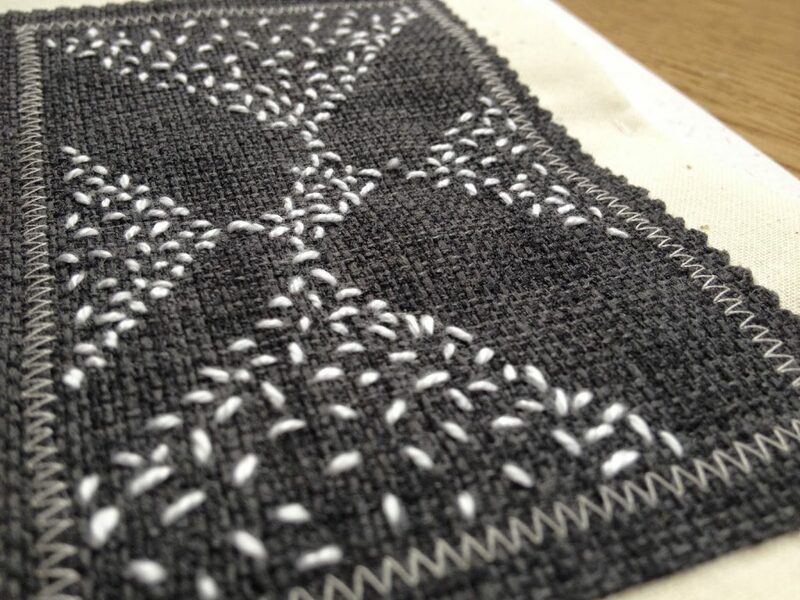 The variation in the stitch sample below has been provided by a change of threads from one to six strands, and through the density of stitches across the fabric. 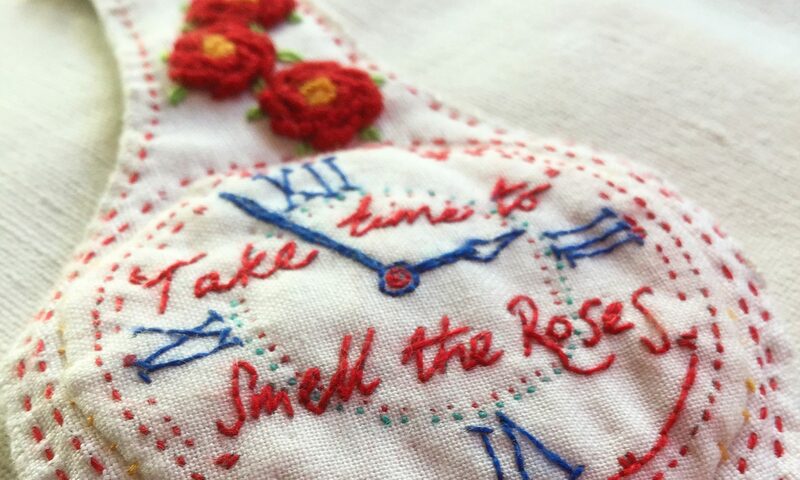 DMC embroidery thread on Irish Linen. 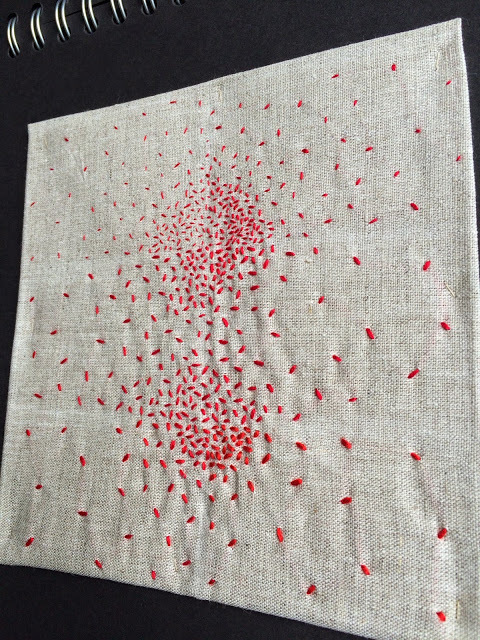 The following experimental sample was created using 100% Polyester soft furnishing fabric and Perle cotton thread. 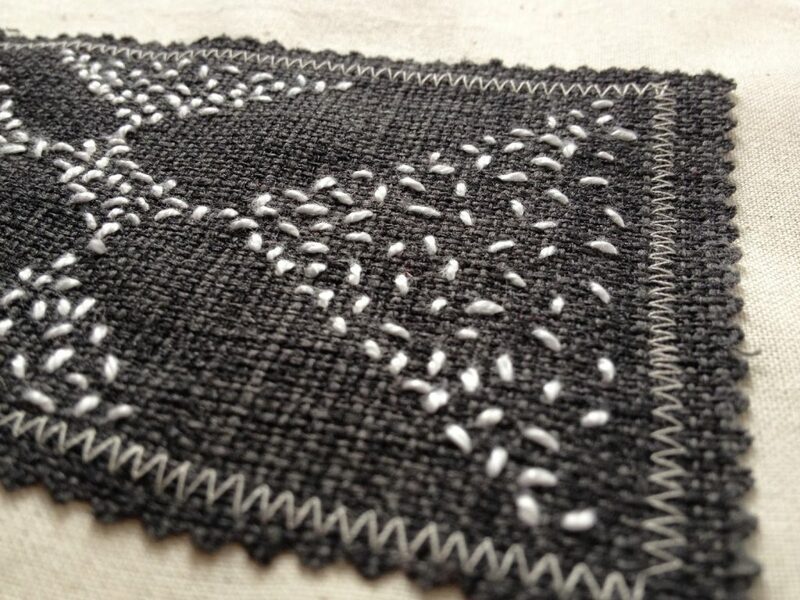 The white thread was used as a contrast thread against the dark fabric to fill the negative space with stitch. I have discovered that just by changing the density of stitches, the thickness of the thread used and the length of the stitch, a whole new variation of the stitch can be created. I like to think I have maintained an even stitch length throughout, but I know a little more practice will make it perfect. I hope you are enjoying these posts and are being inspired to be more experimental with your own stitches. I've tried seed stitch but I am never happy with the results of my labours.